If you've ever seen a group of people moving in exquisitely graceful dance-like exercises in your local park, gym, or community center, you have witnessed the ancient Chinese arts of tai chi (taiji) and qigong. These ordinary people are improving their health, strength, balance, concentration, and mental well-being-and they are having fun while doing it! Best of all, you can enjoy all these benefits yourself, regardless of your current level of physical fitness. The slow-motion moves of tai chi and qigong utilize more of your muscles than other exercises, giving you a total-body workout. Tai chi and qigong are meditation in motion. You lose yourself in the rhythmic flow of the forms. Anxiety and the cares of daily life dissolve away. The documented medical effects of tai chi and qigong include improved heart, lung, bone, and mental health, and an enhanced immune system. Tai chi and qigong require no equipment. You can do them anywhere and need only enough space "for an ox to lie down," as the traditional expression puts it. People of all ages enjoy tai chi and qigong, while the low intensity of the poses makes them especially well suited for older people. 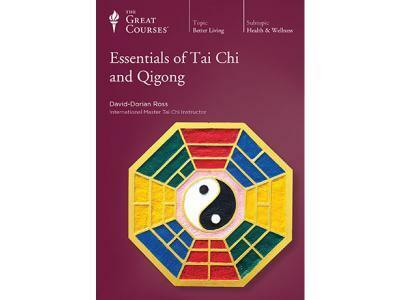 Essentials of Tai Chi and Qigong is a complete introduction to the practice, history, benefits, and philosophy of these immensely rewarding activities. In 24 half-hour lessons, you learn the fundamentals of tai chi and qigong from an internationally renowned tai chi champion and trainer, David-Dorian Ross, who has been practicing tai chi for more than 35 years. No other presentation of these venerable arts is as comprehensive and enjoyable. Unfailingly friendly and helpful, Mr. Ross explains each movement in easy-to-follow steps. He has a gift for anticipating a beginner's questions, leaving no doubt about how you should be positioned for each pose. And where other video products exist that emphasize mimicking an instructor's choreography, which can end in boredom or burnout, this course is a multi-layered combination of practical instruction aimed at physical and mental health, together with deep insight into how to motivate and enrich movement and mindfulness in your own life, using the best of qigong and tai chi. Those already experienced in tai chi and qigong will gain an unprecedented scope of understanding and will find Mr. Ross's mindset and detailed instructions invaluable for refining their own skills. And his presentation of background topics, such as Chinese philosophy, medicine, and martial arts history, will enrich the practice of tai chi and qigong for everyone. 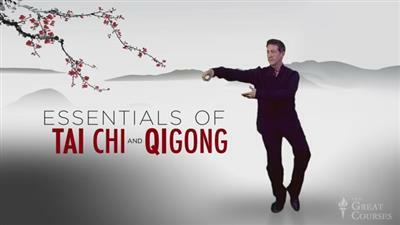 Each lesson of Essentials of Tai Chi and Qigong starts with a standing qigong exercise to get you energized. In the middle, you perform an easy tai chi movement to get you into the flow. 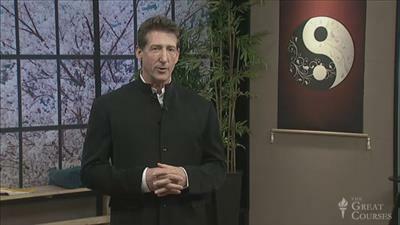 You conclude each lesson with a posture from the Yang family short form, the best known of the different tai chi styles. The 24-movement Yang family short form, often called simply the short form, is the most widely recognized and performed tai chi routine in the world. When you see tai chi practitioners in the park-from Beijing to San Francisco to Paris-they are most likely doing the short form. By mastering one segment of the short form in each lesson, you will be able to join them, and even step out on your own, in no time! The short form includes such memorable movements as Parting the Wild Horse's Mane, White Crane Spreads Wings, and Waving Hands Like Clouds. The names are mnemonics to help you remember the graceful shapes you create as you take a step, turn, raise your arms, and then move forward, back, or to the side, making a distinctive figure depending on the movement. 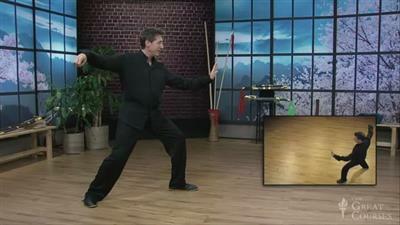 One posture beautifully merges with the next, with moves that are the foundation for many other tai chi routines. You also learn about four other family styles of tai chi, as well as personal modifications you can make so that tai chi and qigong will work for you, no matter what your level of fitness or flexibility.You even investigate rudimentary weapons exercises, as well as a two-person exercise of tai chi, called push hands, that you play with a partner.